In the applet below, a parabola is shown. F = the focus of this parabola. d = the directrix of this parabola. V = the vertex of this parabola. P = a point that lies ON the parabola. (Feel free to move these points anywhere you'd like at any time.) 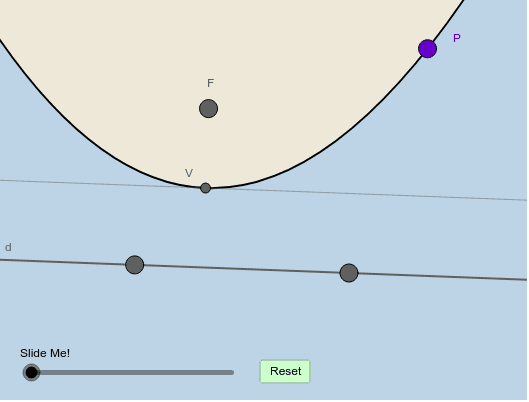 Note: Segment t (that will soon appear) is tangent to the parabola at point P. How can you formally prove what this applet informally illustrates?